The Rev. Dr. Zane Marshall Moore of Greenville, SC died peacefully on April 11, 2019. The youngest of four children, he was the last survivor of the Marshville Moore family. In his 85 years of life, he faithfully served churches and entities of the Presbyterian Church (USA) for more than 50 years. All who knew him remember his booming voice, his quick wit, his tall stature yet gentle spirit, and his tender heart for all of God’s children. Dr. Moore is survived by his wife of 63 years, Eldena, along with his three children, Paitra Moore Modlin (Rob) of Belmont, Craig Moore (Jan) of Charlotte, and Carol Ann Moore Harris (Randy) of Winston Salem, seven grandchildren and one great-granddaughter. 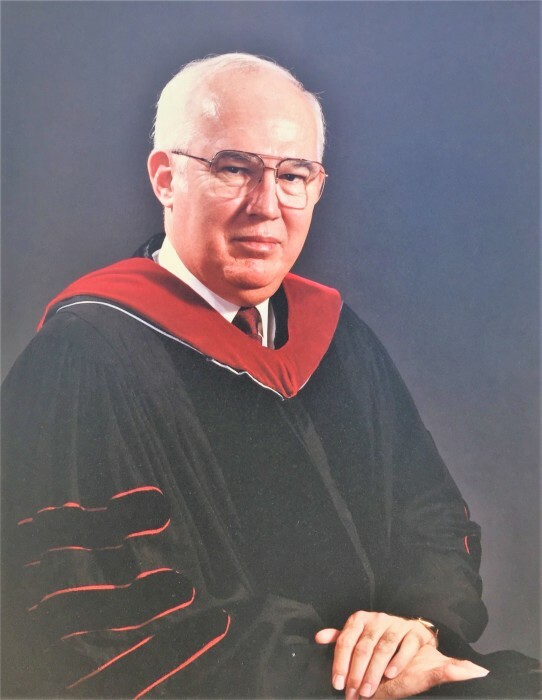 A celebration of his life and a witness to the resurrection will be held on Monday, April 15, 2019 at 11:00 a.m. at Westminster Presbyterian Church where he served as pastor from 1979-1986. Friends are invited to greet the family in the Sanctuary Atrium following the service. In lieu of flowers, memorials may be made to Thornwell Home for Children in Clinton, SC, where Dr. Moore served as President from 1986-2000.